Sitting on the terrace of your winter cottage, you can gaze across the frozen sea or stare at the night sky in search of the Northern Lights. You can then head indoors to your family’s own private winter cottage and reminisce about the experiences that you have shared during the day. This is all precious family time spent in an exceptional location. Suitable for: Anybody aged 4 years or over. Please see our terms for details. Flights: February dates include return flights from London Heathrow to Lulea via Stockholm. April dates include return flights from London Gatwick to Lulea via Stockholm. Flight routes subject to change. 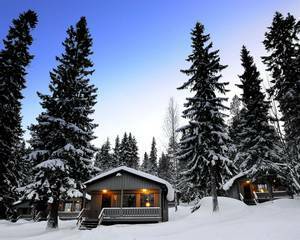 Brändön Lodge is located in the stunning region of Lulea and occupies a prime location on the edge of the Gulf of Bothnia. During the winter months, the sea freezes and surrounds the islands of the Luleå Archipelago with ice, creating a fabulous activity playground. This holiday is designed to allow your family to experience all that this area has to offer in just four nights. The thrilling activity programme will include activities such as dog sledding and a Northern Lights hunt via snowmobile-pulled sled. Families will also have the opportunity to their hand at ice fishing and enjoy some good old-fashioned fun in the snow. One of the nicest things about Brändön Lodge is that following each activity, your family can return to their cosy winter cottage accommodation for some all-important time together. 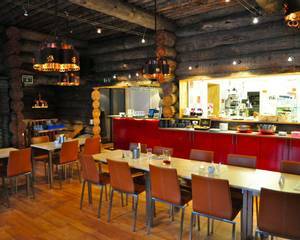 The lodge provides the ideal place to relax and the restaurant cooks up some delicious hearty meals. 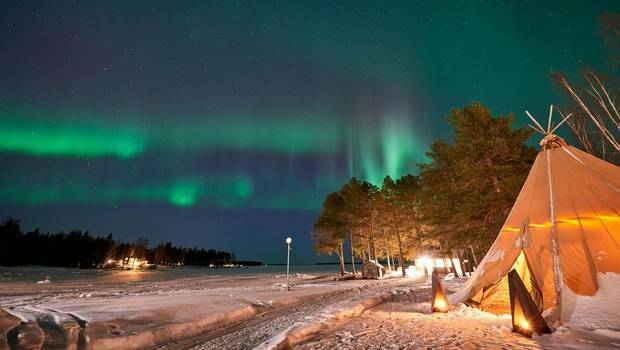 Brändön is situated perfectly within the Aurora Zone and has excellent Northern Lights prospects, making this an all-encompassing destination for a family holiday and ensuring fun can be had both throughout the day and into the evening. This four-night break gives your family the chance to experience some of the highlights of this region in a short period of time and without compromise. With departures covering February half-term and Easter - there are few better ways to spend part of the school holidays. Upon arrival at the airport, you will be welcomed by your guide and transferred to your accommodation at Brändön Lodge. You will have the chance to settle into your cosy cottage accommodation before a welcome meal in the main restaurant building. You will need to get a good night’s sleep ahead of your adventures tomorrow but, always remember to cast an eye towards the night sky in case the Northern Lights are visible above you. Today’s agenda is the perfect way to become better acquainted with your new surroundings. You will head out via snowmobile-pulled sled, searching for the best spot on the frozen archipelago to start your ice fishing adventure. Your expert guide will show you how to drill through the ice and the techniques you can use to catch an Arctic fish from the waters below. This two-hour excursion is a great way for your family to learn about life in this frozen wonderland and to take part in one of the most popular past times in Lapland. Hot drinks and snacks will be served during the activity, which will keep you nice and toasty out on the ice. It is these, very simple things, which can prove to be amongst the most memorable highlights of a holiday in Lapland, as they provide such important family time. 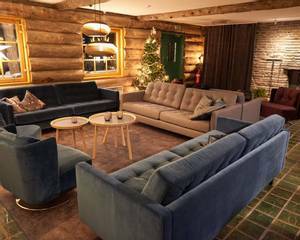 Back at the lodge, you will enjoy a leisurely afternoon – you may wish to relax in your cabin or alternatively head out for some more fun and games in the snow. Dogsledding is without a doubt one of the most popular activities with our families. Today you will be transferred to a nearby husky farm where you will meet your team of dogs and start your adventure! Driving two people to a sled, you will be shown how to take control of your own team of huskies for a safari lasting around two hours. There will be the opportunity for people to swap drivers and children who are too young to ride with a parent, will ride in a sled which is controlled by the guide. A hot drink will be served when you return to the husky farm and you will have plenty of time with your new furry friends. This is sure to be an exceptionally memorable experience for all. Later on, this afternoon you will have time to spend at your leisure. You may want to make use of the free equipment and enjoy some serious fun in the snow. 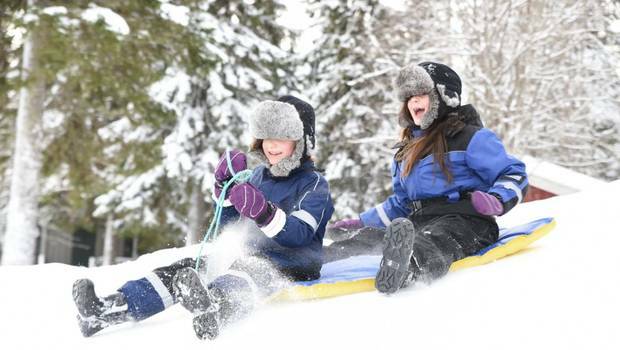 Kick-sleds, toboggans and snowshoes are all available for use and there is plenty of space to play. Alternatively, there is a reindeer paddock behind the central lodge and these furry nosed animals are always happy for visitors. Dinner will be enjoyed at the central lodge restaurant. Today will be free for you to enjoy the winter wonderland that surrounds you. 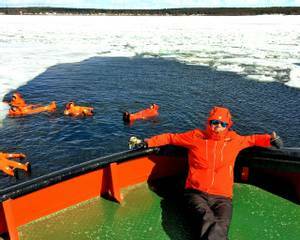 Perhaps you’ll want to relax with your family in the cabin or main lodge, or maybe you’ll want to add on an exciting hovercraft tour of the frozen archipelago, which is exceptionally good fun! Please see our 'Personalise' section for further details. After dinner this evening, you will wrap up warm in preparation for your Aurora hunting activity! 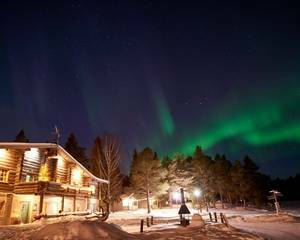 Travelling in a sled pulled by the guide’s snowmobile, you will head out in search of the amazing Northern Lights on a tour lasting approximately two hours. Moving from island to island, your guide will lead you to a local viewpoint from which you can gaze at the sky and await a potential display. This is a wonderful way to spend your last night in Lapland. The time has come to say goodbye to your Arctic adventure and head home. After breakfast, you will be transferred to the airport for your flight home. Brändön Lodge is located on the edge of the frozen sea and looks out towards the ice-locked islands of the Luleå Archipelago which sit waiting for the thaw. This is a wonderful accommodation option for families with its combination of cosy cabins, scenic surrounding wilderness and plentiful opportunities for adventure. The cabins provide the perfect family base and each consists of a living area, kitchenette, en-suite shower room, toilet and two bedrooms (both with twin beds). Each cabin also has a small porch that looks out across the frozen sea. An icebreaker conjures up images of Arctic Voyages and historical expeditions and a chance to enjoy a trip should not be missed. Children, in particular, are sure to love the loud crack as your ship, ‘Arctic Explorer,’ cuts through the thick sheet of ice with apparent ease and the vast ocean below is revealed. You will get a real sense of adventure when the shards of ice surround the boat and the outlook is one of shimmering white. 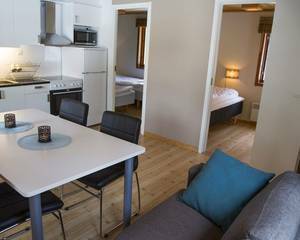 You will take a 35-minute transfer to Luleå from your accommodation before picking up a second transfer from Luleå to Piteå, which takes approximately 50 minutes. Following an introduction and safety briefing by the ship’s captain, the journey will begin in Pitsundskanalen, which is where the mouth of the river Piteälven meets the open sea. A mere 100 yards ahead of this point, the ocean opens out and there is a seemingly endless display of ice, which is easily broken by the ‘Arctic Explorer’. The ship leaves a trail of exposed ocean behind and this makes it possible to bathe in the freezing water. You will be given survival suits which will provide protection from the cold and also prevents you from getting wet. Following this, you will have the opportunity to float in the water at the rear of the ship, which is a really exciting activity (see below for age restrictions). You can also experience walking upon the thick ice of the frozen sea around the boat as it sits with a clear path behind it and solid ice in front. The cruise will last for approximately 2 hours. A hot drink and survival suits are included. Please note: although children of all ages are welcome to join the cruise, due to the availability of survival suits, swimming in the frozen sea is only available for children 7 years and older, or children above the height of 120cm. You will each be given an intercom headset in order for the pilot to be able to communicate with you and impart his local knowledge. You will set off across the ice and islands and head out to the island of Brändöskär which is close to the edge of the frozen sea. You will disembark and take a walk on the ice where depending on the weather conditions, you may witness some of the vast natural sculptures which form as the pack ice gradually shifts and cracks. 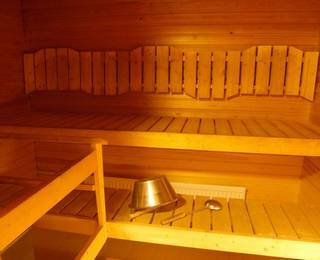 During your stay at Brändön Lodge, you will have the option to relax in the hot tub and sauna. Both are just a short walk from the lodge and they sit on the edge of the frozen sea. Saunas are an absolute must when you are in Sweden and they are ideal for relaxing and restoring any tired muscles after a day’s adventure. The hot tub is an added bonus to sit back and enjoy the location. Both of them are rented for private use together, so if you would like to include them, please speak to one of our Travel Experts who will be happy to provide you with a full quotation. 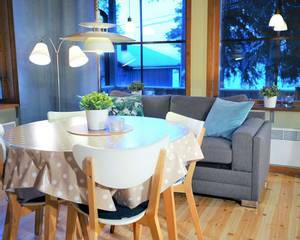 Prices are based on two adults sharing a two-bedroom cabin. All of the people at Brandon lodge were friendly and helpful. We loved the food, the lodge and all the activities. it is a stunningly beautiful place and was a great place to escape from our busy lives. We had a wonderful, really memorable holiday. A truly magical experience! We saw the Northern Lights twice; my daughter caught a fish; the dog sledding was a huge adrenalin rush; the hovercraft trip fantastic; the final meal out on the ice delicious! Couple this with amazing scenery, great food and friendly knowledgeable people and we had our ideal holiday of a lifetime! The evening snowmobile sled ride with a cooked meal in a cabin on the frozen sea was a surreal experience, thoroughly enjoyed by the whole family. Made even better by our two guides. One of our best holidays ever. And everyone at Brandon was so laid back and helpful. The husky sledges were exciting and our daughter loved petting the dogs. It was truly memorable and we loved Sweden. Read more what was going on, letting us know the process to get the dogs ready to go out, and then when we returned, inviting us into their home to have coffee and chocolate cake and to handle the puppies, and to give us the time to ask more questions about the dogs and the sledging. There was not a least enjoyable activity (other than leaving), we did Ice fishing, Snowmobiling, Dog Sledging, Aurora hunting... and they were all on a par with each other as to how they were managed and the skill of the guides. An amazing trip; we would thoroughly recommend it; it opened our eyes to a whole new geographical area, and it was fascinating and fun. Loved it all! The staff were great, helpful and well informed.